Escape and Evasion is a subject that isn’t widely talked about or offered by many groups that offer training. SERE is another type of E&E… But more geared towards military operators because it includes “Survival” and “Resistance” as additional subjects. Listen to this broadcast or download “E&E, SERE, & Covert Gear: Part 2” in player below! With so many available texts on Survival these days, and Resistance being an extremely broad term that is rather difficult to teach via podcast, I am going to return to teaching E&E and covert gear carry & deployment. Last week, I talked about the levels of detention, who might take and hold you, how they’ll search you, what items you could carry, what items you should stay away from, where to get multiple types of covert gear and weaponry, and where you could carry it or hide it on your person. On this show I finish what I didn’t get time to go over in depth last week. 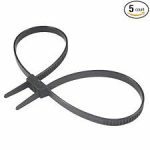 I’m going to cover escape types, ways to escape from cuffs, ways to escape from Zip Ties and Flexcuffs, ways to get out of duct tape, and other options for escaping unlawful captivity. I am also going to go over how to cover your tracks while you’re moving thru various areas, urban and rural, and what gear is an absolute MUST HAVE for survival in that situation. If we have time, we will also cover more gear and weaponry, and where to find it. Also, if we have time, we will go thru how the “must have” survival items are used and where we will carry them during the evasion part of your E&E scenario. 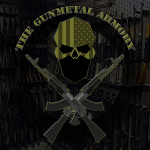 So join me next time on th GUNMETAL ARMORY for the 2nd installment of: E&E, SERE, & Covert Gear.